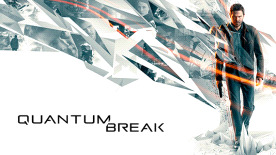 Blurring the lines between Television and Video Games, Quantum Break's presentation isn't what we're used to in most AAA titles, instead we are treated to 20 minutes of live-action footage in between playable sections, which means that you have a lovely little tea break after intense gunfights and story exposition ready for the main event. Gameplay itself is satisfying and everything you'd expect from a typical third-person story based game. With the added star power and facial capture from actors, the game is virtually indistinguishable from the live-action segments that you're able to watch. Its unconventional structure makes the game worth playing in itself, so why not get stuck in and get ready to play (and watch) Quantum Break! Its PC release is very welcome.